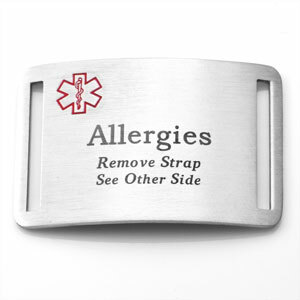 Home » Stainless Steel Jewelry » Allergies to Stainless steel? Ok, i've gotten my ears pierced twice, and they're perfectly fine. but i got my nose pierced (with stainless steel, which im pretty sure i have in my ears also, one set is stainless steel the other is titanium) and i have this irritating bump next to the piercing, i've tried salt and tea tree oil and lavender oil and holding a paper towel wet with hot water against it multiple times AND asprin. and it wont go away, the only thing i can think of is it being the jewelry, but it doesnt bother my ears, just my nose, is that possible? and if so should i switch to titanium? I have had allergy/sensitivity type problems with some "surgical steel" earrings that I think were not of the best quality, but they were more in the form of intense itching, redness, peeling skin kind of stuff. A bump sounds maybe like a keloid scar that got irritated? Or possible a little infection of some sort? I do recommend titanium or niobium as it is almost impossible to have a reaction to it, so it's a good idea anyway, but I'm not certain it's the cause of your particular issue. First, I'd go back to your piercer. They can recognize some of these issues and suggest different materials for the jewelry, or tell you if they really think something needs to be seen by a doctor.